How Are Personal Loans Different From Other Loans? Do I Need Good Credit to Qualify for a Personal Loan? From peer-to-peer lenders and micro loan websites to major brick and mortar banks, there are all types of avenues to find your personal loan. 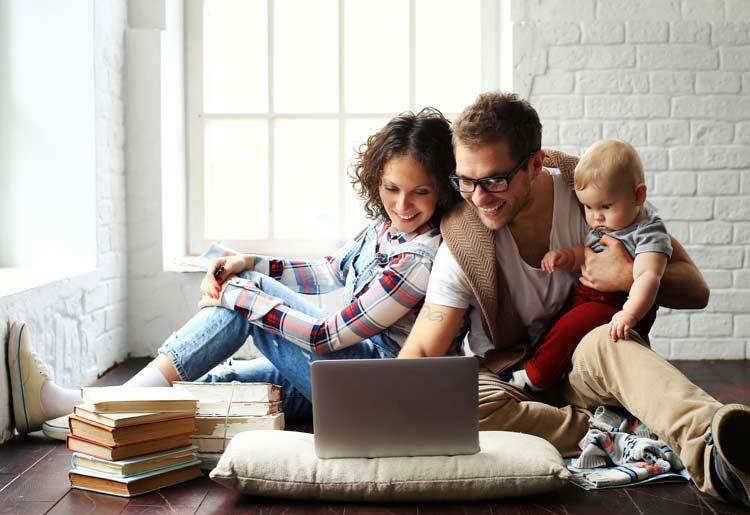 Before you find your personalized personal loan, take some time to learn the ins and outs of personal loans, and what you need before you get that little boost of financial assistance. A lifeline, a rainy day fund, a little cash flow to get you through some thin months—whatever you call it, a personal loan is money that you borrow from a lender with a set repayment term, typically of around 2-5 years. These loans tend to have rates of around 5.99% - 35.99% APR, depending on your credit score. Personal loans can be “secured”—where you put up collateral to secure the loan—or “unsecured,” in which case you don’t have to put up any collateral. In the latter case, you are likely to pay higher fees because the lender sees the loan as more of a risk. Personal loans tend to have lower interest rates than credit card loans, so if you have outstanding debt, a personal loan can be a smart way to consolidate your debt with better interest rates. Also, unlike other types of loans—such as student loans or car loans—typically you're not restricted in how you spend the money. And unlike a personal line of credit, you receive all of the funds at once and are responsible for paying all of it back, even if you don’t use it. This is one of the reasons that more people are taking out personal loans in the US than ever before, and why they’re particularly popular with millenials. While mortgages or car loans typically require you to put down some form of collateral, you should be able to find a lender that can get you a personal loan without any security. In addition, personal loans tend to have a maximum amount of up to $100,000, which is less than some loans like mortgages or luxury car notes. When applying for a loan, look for the best possible terms that allow you to pay the lowest amount over the life of the loan. However, you may have to compromise if you have a less than stellar credit score, you need the loan quickly or you cannot provide collateral for a secured loan. In order to determine which lender is right for you, you must first determine what the loan is for, what the amount of the loan is, whether you want to pay it off quickly or over an extended period of time, and what your credit score and financial situation is. The lender who is willing to provide you with the loan you want at the best possible interest rate is the right lender for you. You can either choose a direct lender, such as Upgrade or Marcus, if you're looking for specific terms, or opt for a marketplace lender, such as LendingTree, if you want to compare rates from a wide variety of lenders. There are also peer-to-peer lenders like LendingClub, which lets you invest in a loan and take out a loan simultaneously. This can help you make money to help pay off your loan from the same source. A personal loan can be for all types of uses, and that’s a big part of the draw. There can be some limitations, for instance you probably won’t be able to use the personal loan for a down payment on a house or to pay student loans. For the most part though, personal loans are a way to get a much-needed cash injection to use as you see fit. In fact, about a third of applicants stated that they needed the money for household expenses. With one-time purchases like a vacation or a wedding, be careful not to borrow more than you’ll be able to reliably pay back, because these are not revenue-generating purposes. Taking out a personal loan for a home renovation is a smart way to significantly improve the value of a house prior to sale and increase your equity. Use an online loan calculator to determine how much your monthly payments are, and if it makes sense to go with a longer term loan with higher interest, or a shorter term loan that will have higher monthly payments but less interest over time. Also, if you’re considering taking out a personal loan for debt consolidation, make sure that the rates are actually better than your current debt. Understanding interest rates is critical for borrowers to fully realize the impact of a loan and how much it will cost them. The interest rate is the rate a lender charges a borrower and it will depend to a large extent on your credit rating. This could mean that you won’t get a rate as low as the one advertised by the lender. On the other hand, some personal loans have variable interest rates, meaning they are not fixed and can go up or down with the market. This means that at some points your payments can become more affordable, but you also don’t have the luxury of knowing exactly what you’ll pay every month for the lifetime of the loan, like you do with a fixed-rate loan. APR, or annual percentage rate, is the amount that the loan is actually going to cost you—interest charges along with additional fees. 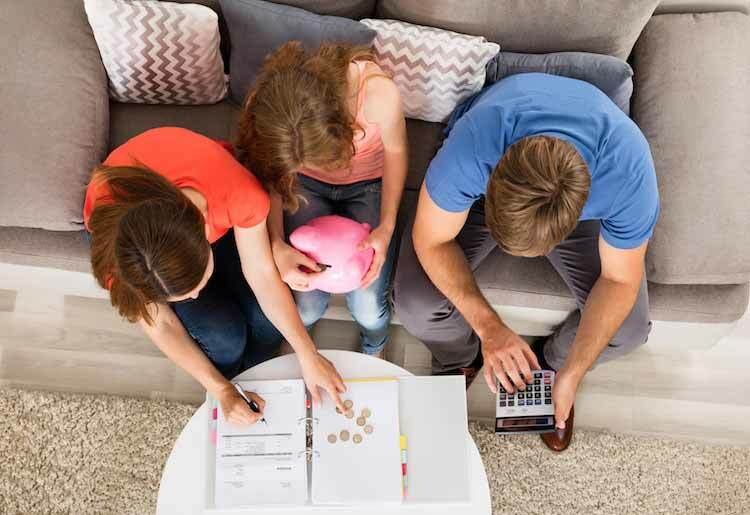 While some lenders may issue a loan at a lower interest rate than others, the actual APR may be higher if they charge more fees, so paying attention to the bottom line is in your best interest. Most personal loans have fixed rates between 5.99% APR – 35.99% APR, so shop around to find one that works for you. Lenders will issue personal loans at lower rates if a loan is secured by a lien on an asset. This is known as a secured loan, with the alternative being an unsecured loan. A secured loan allows the lender to take ownership of the asset if the borrower defaults, and can be a more affordable option due to the decreased default risk. A lender will charge a higher rate on an unsecured loan because of the added risk. Being delinquent on an unsecured loan will harm a borrower’s credit, which will make borrowing in the future more expensive. In some cases, a borrower may have to declare bankruptcy if their debt becomes unmanageable, which will permanently affect a borrower’s ability to take on debt in the future. A crucial component of a loan is the term length of the repayment. These can be short-term or long-term, generally ranging from 6 months to as long as 7 years. Some companies offer several different term lengths while others will only offer 1 or 2 different options. Some of the best long term personal loan companies are more flexible and let you repay your loan over time. It is very important that you choose a loan with a repayment schedule that matches your income and expenses so that you do not become delinquent. The borrower receives a sum of money upfront, which is then repaid over the period of the loan at set intervals, usually once a month. The payments may occasionally fluctuate according to interest rate changes or specific loan terms. Typically, the longer the repayment period of an installment loan, the lower the payments and the higher the interest rate. With a revolving loan, the amount borrowed varies, meaning that your payments will vary, too. You can either pay the balance owed in full or you can pay only a portion of it. The most common type of revolving loan is a credit card. A line of credit is a form of revolving loan in which you are allocated a line of credit and allowed to borrow up to that amount. You can either borrow all the money upfront, or withdraw it on an as-needed basis, and payment schedules are flexible. Typically there is a limited window of time in which you are able to draw from the credit line. Before applying for a personal loan you should first check your credit score, using a free online service. This can give you an idea of the fees you’ll face. If your credit score is low, see if you can wait to take out a personal loan while you repair your credit. You’ll also want to get all of your documents together before applying. In addition to your credit score, collect your pay stubs and other proof of your employment history, so you can show lenders that you have reliable income and the ability to make your payments. While your credit score can determine the loan amount you can qualify for and the interest rate you will have to pay, online lenders and peer-to-peer lenders tend to be more forgiving, and some even give loans to those with credit scores below 600. This is a good thing, because it is estimated that as much as a third of Americans have a credit score below 600. To qualify for a larger amount, in the $10,000 and up range, a credit score of at least 660 will generally be required. In addition, to secure such a loan, the borrower will have to provide proof of gainful employment. Applying for a personal loan from an online loan provider generally takes a matter of minutes. Online loan providers request the borrower’s personal information, such as address and date of birth, as well as their basic financial information, such as monthly income, employer and current outstanding debts. Lenders will check a prospective borrower’s credit to see if they meet the minimum standard to apply for a loan. It is advised to be sure that the loan provider does only a “soft credit pull.” When a lender checks your credit it can negatively affect your credit score. A soft credit pull is a way of checking credit without damaging a borrower’s score. Online loan aggregators, or peer-to-peer loan marketplaces, will provide the borrower with a list of lenders based on the information provided on their application. This allows the borrower to choose the loan with the best terms from a list of lenders competing for their business. If you receive an unsecured personal loan, you are likely to be given high interest rates well above 10% that can really add up quickly. The temptation to not have to put up collateral is strong—and if you have low credit, high interest may be inevitable—but getting a loan with bad terms can take a real bite out of your monthly budget. Check if your loan has an origination fee, and also keep an eye out for early-payoff penalties. Also, make sure that the lender only performs a soft credit pull, so as not to hurt your credit score. A good rule of thumb with personal loans—just like any other significant financial move—is to take the time to read the fine print so you know the terms and conditions. When seeking a loan make sure to compare the best loan companies and read reviews of what they offer. Also take the time to read articles and blogs that can bring you up to speed on the world of personal loans.